Directions: Rte 25 to Main St. to Stinson Lake Rd. to Cross Rd. Improved Price! - Rustic log home newly renovated within walking distance of Stinson Lake and adjacent to a snowmobile trail! This home has undergone an interior facelift just weeks ago...changes include: new subfloor and vinyl floor in kitchen, bathroom, living room, dining room and breezeway; new v-groove pine on some walls; new pine floors in both bedrooms; new kitchen cabinets and hardware; new kitchen countertop, sink and faucet; new bath tub, toilet and vanity in bathroom; new baseboard, trim and doors; new insulation in basement; and new furnace. This property offers a huge front porch, 2 garages, one with a lean-to for more covered storage, a horseshoe driveway all on an acre of land. 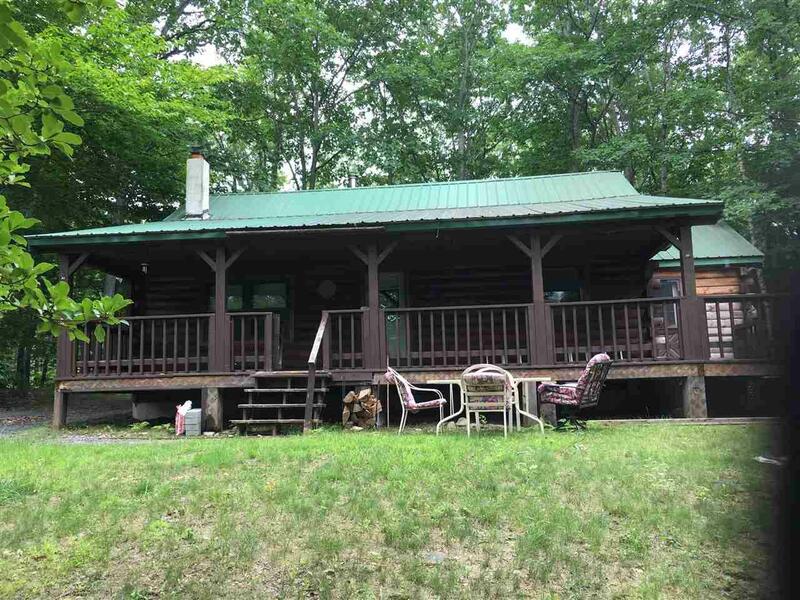 Did I mention its proximity to beautiful Stinson Lake, minutes to Rumney Village and Plymouth, fishing, snowmobiling, hiking, skiing, rock climbing all within minutes from this lovely home. I93 about 20 mins away.